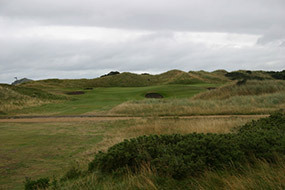 Covered in low-set dunes and small sandy hollows, the 27-hole Portmarnock Golf Club occupies most of a 500-acre peninsula wedged between the Irish Sea and a tidal inlet to the north of Dublin Bay. Originally accessible only by boat, Scottish insurance broker W.C. Pickeman and his friend George Ross discovered the site in 1893 and designed the club’s first eighteen holes, which remain its championship layout. 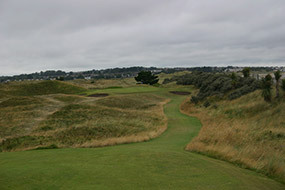 With a greater resemblance to the small-scale links on the Open Rota in Britain than the wild and exciting creations along Ireland’s coast, Portmarnock is an ideal championship venue that professional golfers, in particular, tend to enjoy as it lacks the nasty surprises and hidden hazards found elsewhere in the region. Most holes challenge you to drive straight, and although the narrow dimpled fairways twist through thick fescues and are dotted with deep pot bunkers, the landing areas are generally in full view from the tee and mostly flat. The bounce is also usually predictable and the hazards stern but not impossible to recover from. Better holes include the par four opener, pressed right alongside the sea, excellent par threes at the 7th, 12th and 15th and the string of medium length par fours through the middle of the round. The downwind 14th, which plays into a small raised tabletop target that is heavily bunkered at the front is another standout as are the beautifully bunkered par four finishing holes, where avoiding the sand and thick roughs from the tee is the key. 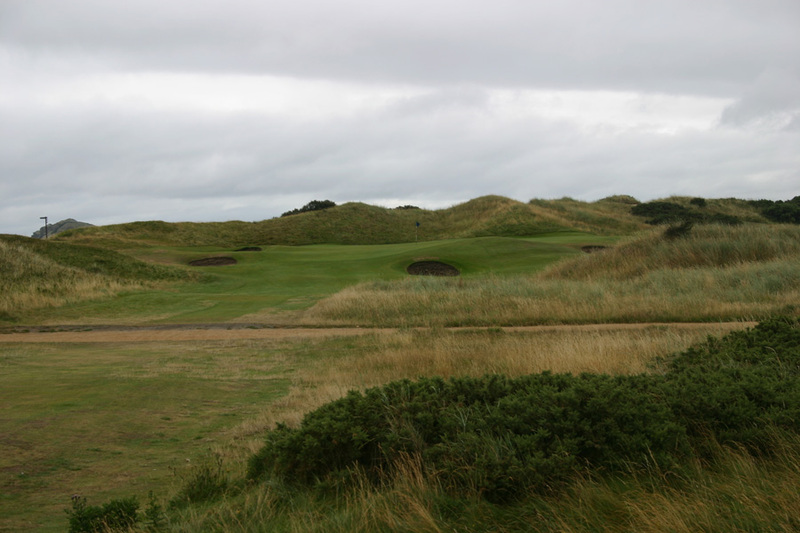 More a great collection of holes than a collection of great holes, there are very few here that would be considered among Ireland’s best but barely any that could be described as weak. 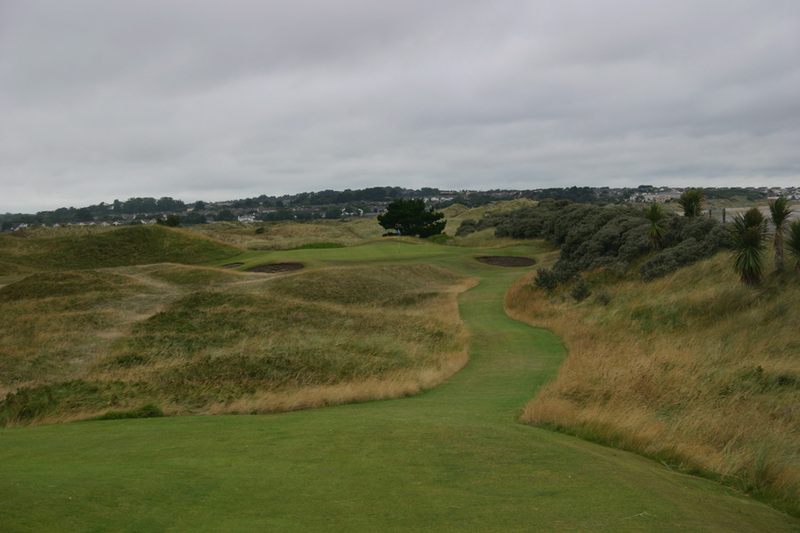 Like all true links, Mother Nature was the first architect at Portmarnock, though what makes the course a classic is the hand of man in designing clever and consistent golf holes across her low-set links features.